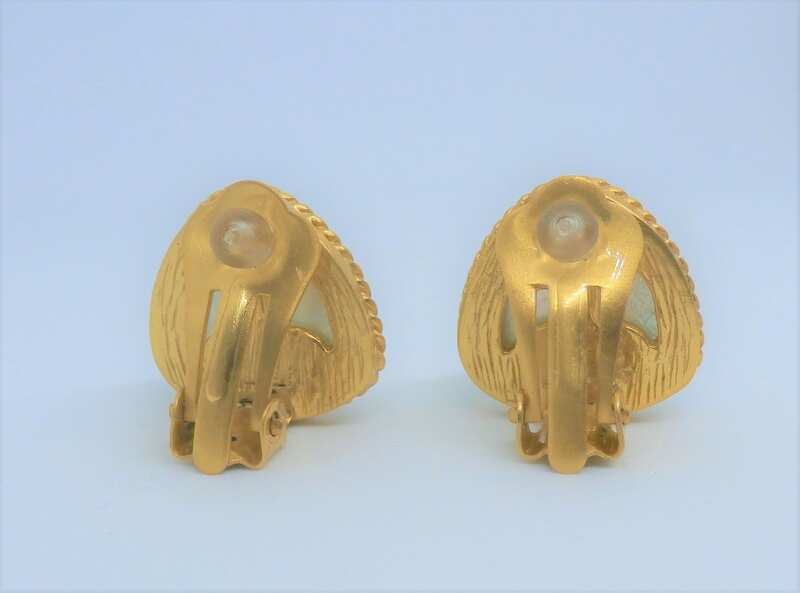 Julie Vos Pegasus Clip Earring, 2016-2017, I'm Original owner, never worn. 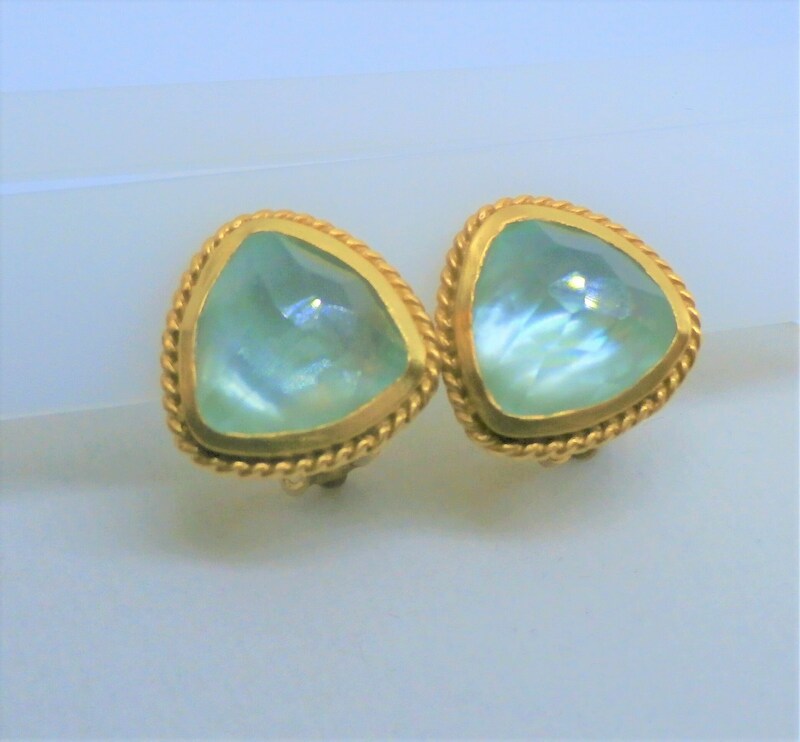 I acquired these earrings at Julie Vos jewelry dealer. 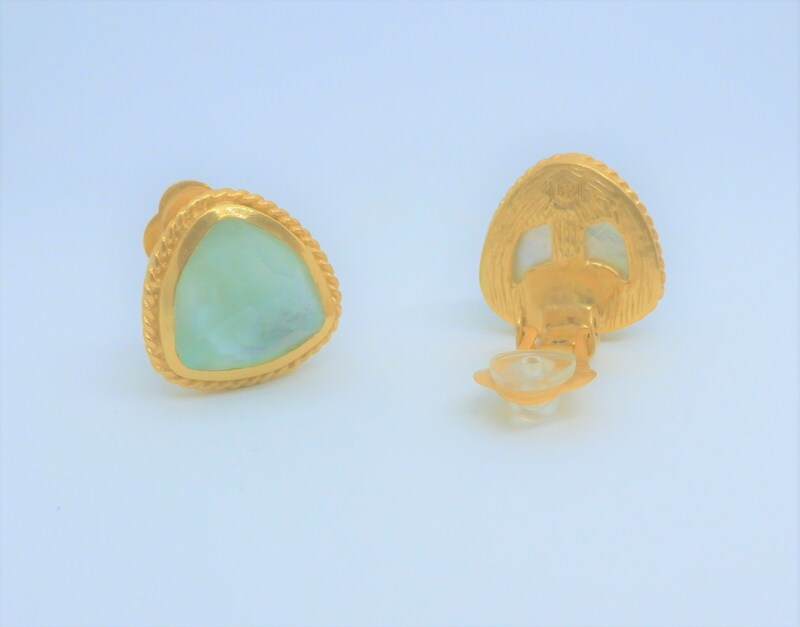 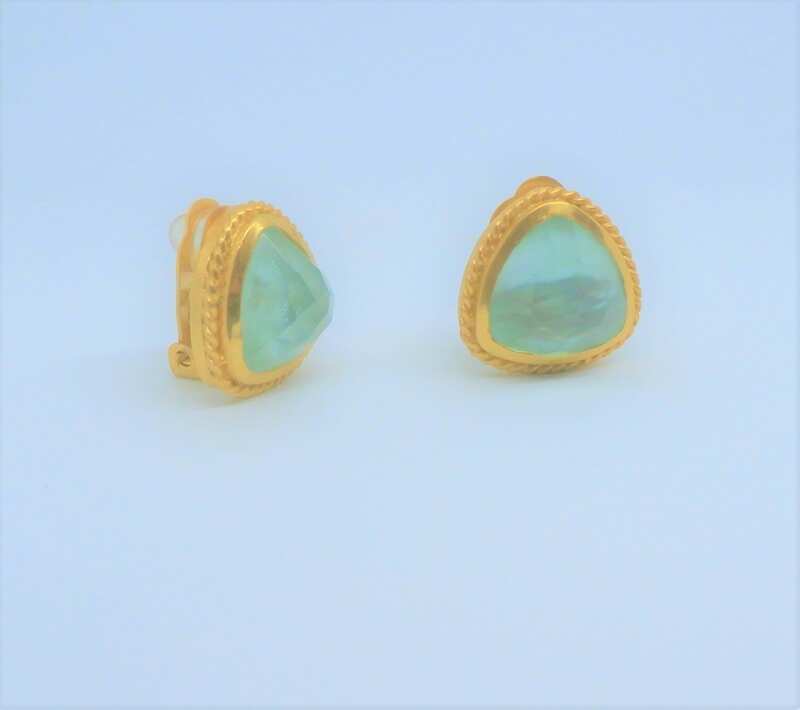 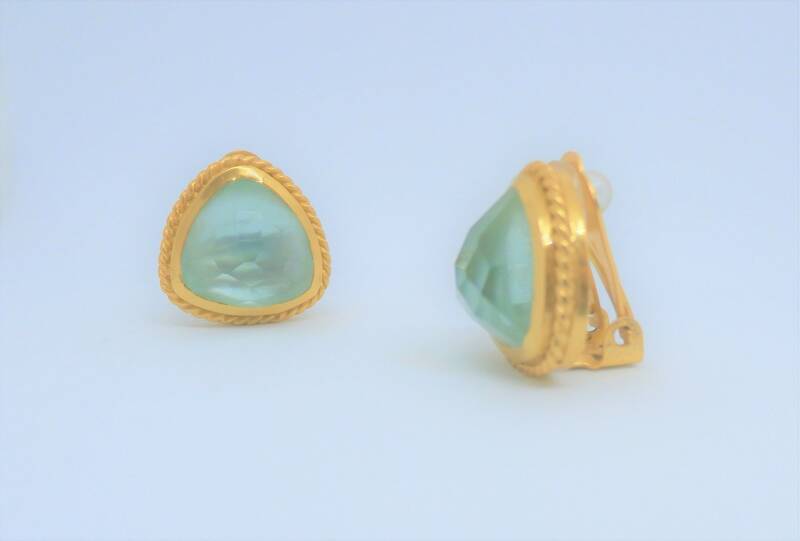 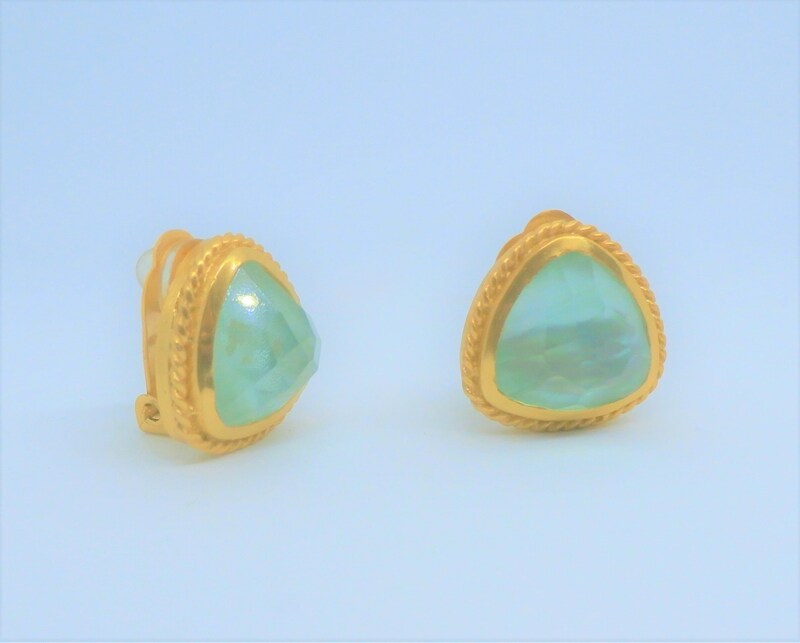 24K Gold over Brass, Aqua Blue faceted Chalcedony Stone. 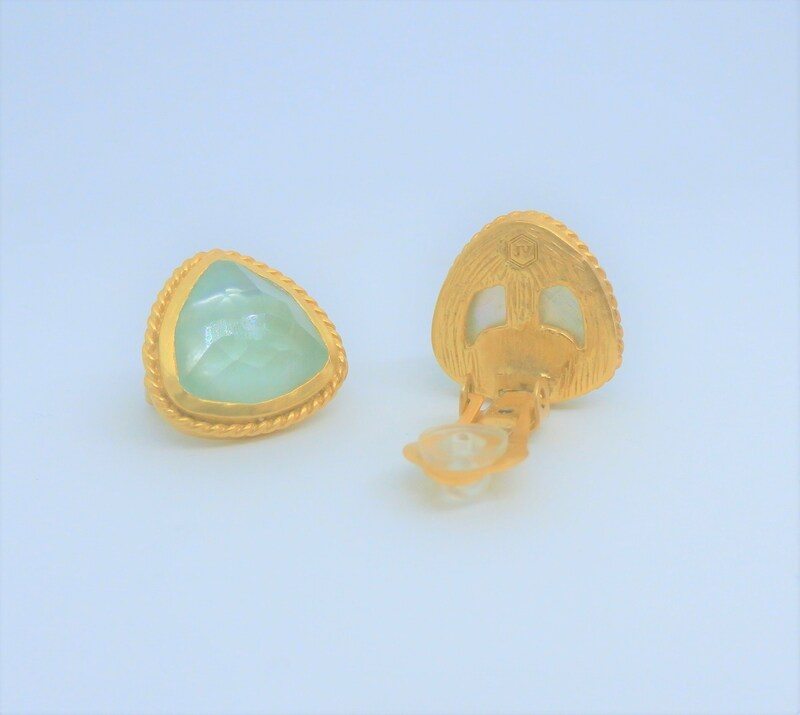 Padded ear clip, Gold rope design. 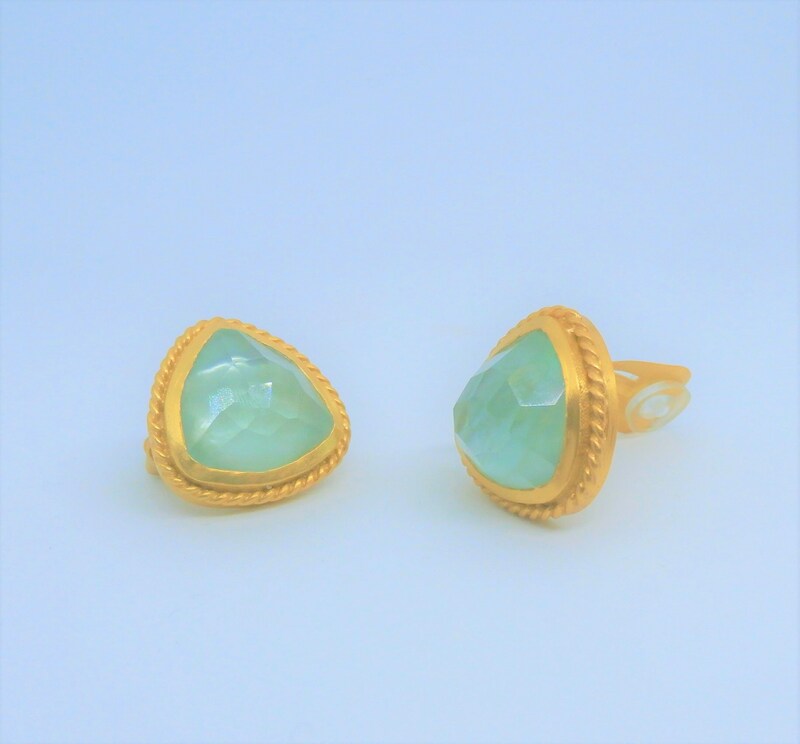 Stamped with the Julie Vos Hallmark. 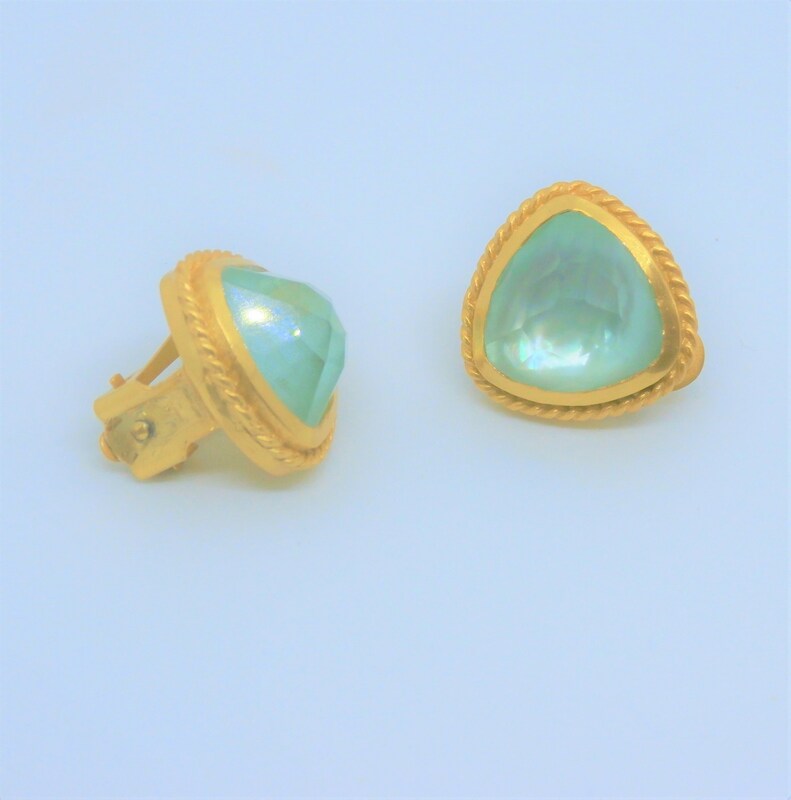 Comes with Julie Vos Box.